If you’ve been through the comms approval process a few times, you’ll know – the pain is real. Getting through layers of people to approve a pice of content, whether it’s a video, a design, a press release or other copy – it can be excruciating. Stay strong. Keep fighting for what you know will make the piece engaging and useful to the audience. It might take the diplomacy skills of a hostage negotiator, but it matters and will be appreciated by the people who have to read or look at your content. 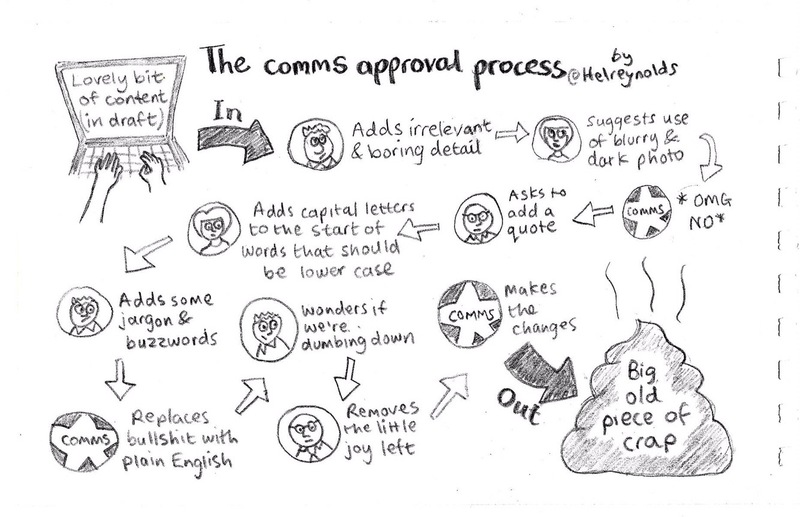 Beat the comms approval process! This hits the nail on the head – brilliant!